You must have your carpets cleaned when we’re ‘in your area’! It can take half an hour to travel from one side of Cardiff to the other side – this costs money! 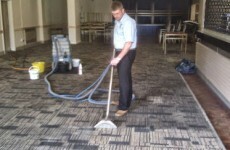 The savings made by having your carpets cleaned when we’re ‘in your area’ are passed on to you. You qualify to have 1/3rd off the cost of having your carpet cleaned, simply by agreeing to have your carpet cleaned when we’re ‘in your area’! Again, having more than one room of carpet cleaning done at the same time, saves time. These savings are passed onto you. If you’re not ready to have your carpet cleaned now – Click here! Excellent service. 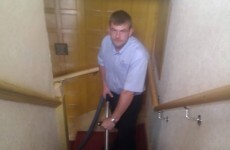 Carpets beautifully clean after builders left ingrained black marks in the stairs carpet. 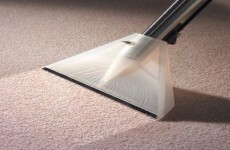 No chemilcal smell just fresh clean soft carpets. Will be using again on a regular basis. Part of the spring cleaning from now on. 1 Pings/Trackbacks for "Carpet Cleaning Prices"